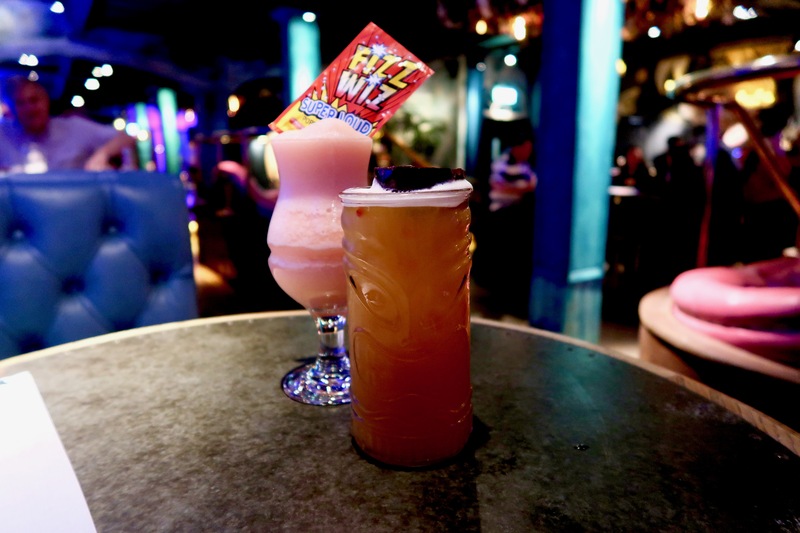 The Palm launches a five restaurant, bar and dessert parlour venue with tropical oasis theme in Sunderland. Situated just off Wessington Way the brightly lit venue draws you in from the roadside. If you’re familiar with the area, this is the evolution of Liberty Brown. The original restaurant which remains in the location serving up steaks and cocktails. Claimed as the original and still the best eating experience in town. They serve up platters that matter. From sharing plates to kebabs and even gut-busting burgers. With a lighter menu and healthy choices too there’s something for everybody. New for the relaunch of The Palm is the brand new Steak House! They also have a children’s menu for little ones. Next up is the alfresco vibes of the Street Food Garden, serving up not only live music and DJs, but there’s also a cocktail bar, ‘posh’ kebabs, pizzas and artisan delights. Great for parties and private events. The place for brunching or a coffee and cake. This all-year-round Summer fiesta will have you feeling pretty cheery. Enjoy salads, sandwiches, ice cream sundaes, waffles or even an Aperol Spritz or two. Pineapple Cove also caters for children. Admittedly, this would be my first choice venue, hands down every single time. I’m a huge lobster fan and this is the main restaurant apart from Liberty Brown’s. With one pot, superfood salads & steaks to sunkissed seafood, vegetarian & vegan bites sure to delight alongside craft beer and cocktails that tick all the right boxes. Somewhere definitely to try out! 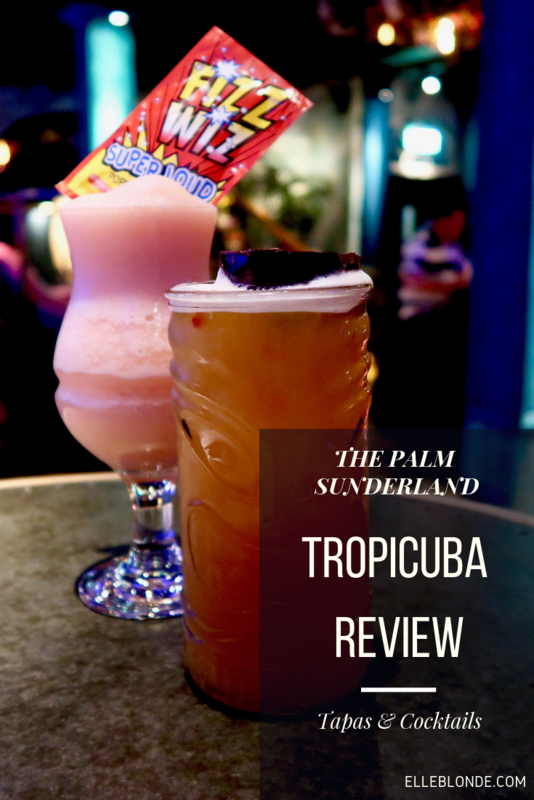 If you’re looking to discover how we rated Wildernest compared to Tropicuba you can check out our review of the Bar & Lobster Cabin here. We enjoyed an evening at Tropicuba. 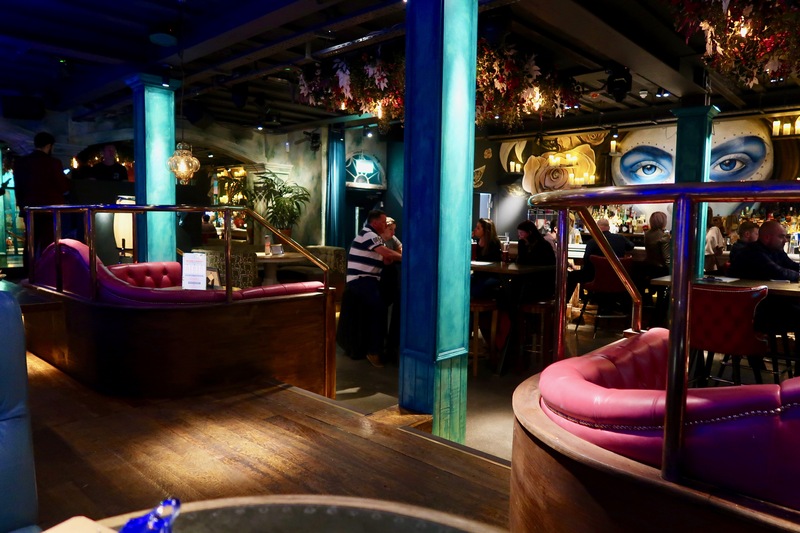 This Cuban cocktail bar and tapas was the perfect spot for a bite and a couple of drinks on a Friday night. 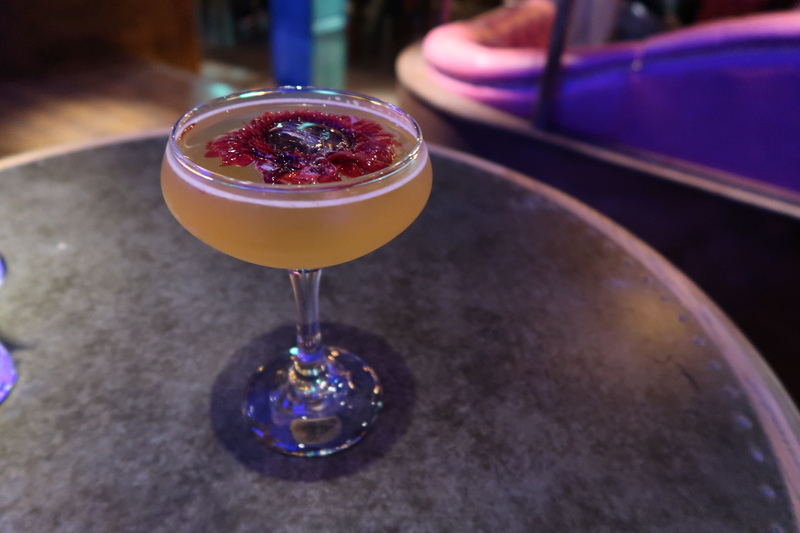 The bar became busy and with a chilled club vibe, I could have easily been transported to an Ibizan bar. The tapas menu is not expansive, however, it does pack a punch. Monday-Friday from 5pm-7pm they offer 5 tapas for £20 which is exceptional value! 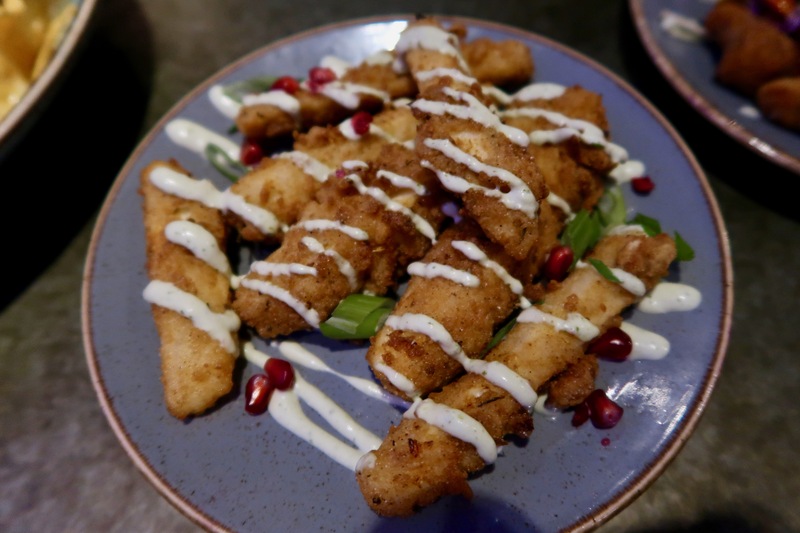 Pomegranate Halloumi Straws (£5.95) with lime and coriander sour cream. These were pretty tasty, the garnish added to the flavour and these were so much tastier than the similar starter I had at the Holy Hobo. Halloumi to me though is best served grilled. If you’re a cheese fan, however, these are pretty tasty. 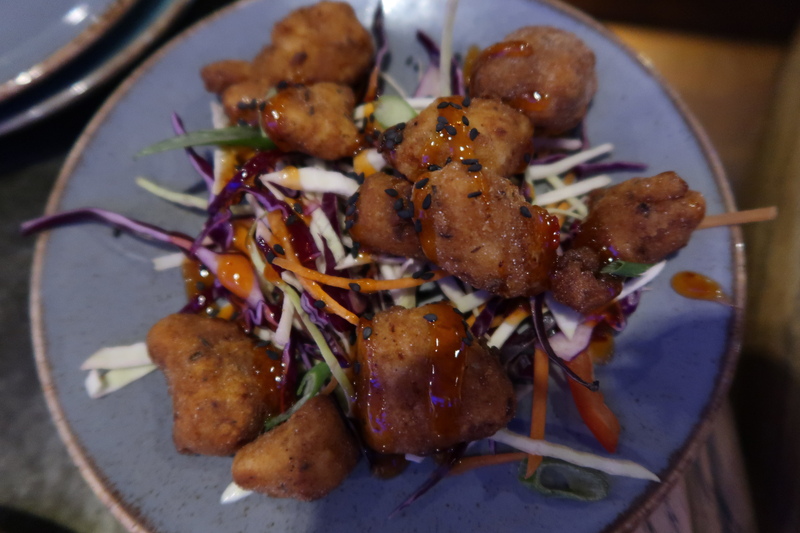 Served with crunchy house slaw and sweet chilli sauce for dipping. These were one of my most favourite tapas dishes from Tropicuba. The chicken was tender and the coating was really tasty. I enjoyed how the pieces weren’t greasy. The slaw was a perfect accompaniment to the chicken. 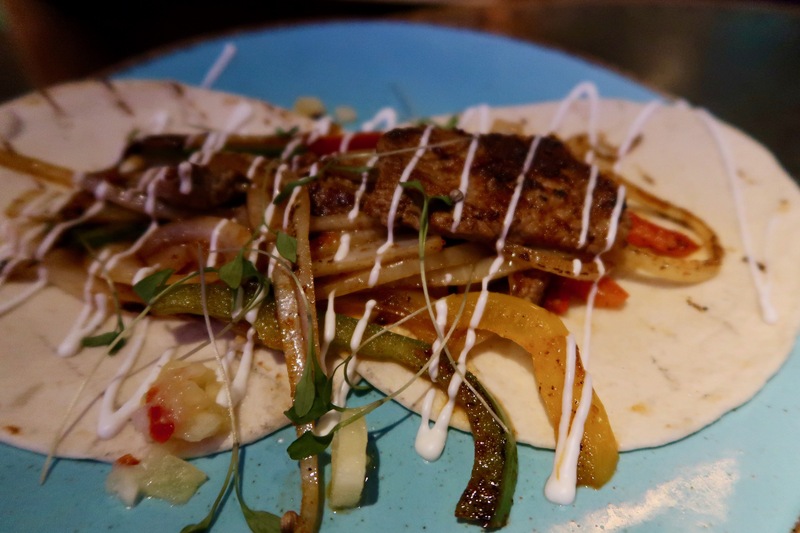 With charred peppers and onions, flour tortillas served with fresh pineapple salsa and garlic sauce. This was probably the only dish that didn’t really appeal to me. The steak was scarce with only 3 small pieces between two larger tortillas. There were plenty of onions and peppers, which on the contrary were delicious. I just felt this dish needed a little more protein to it. Which were served with garlic and chilli sauce. These were just like potato skins covered in some Cuban spices loaded with lots of cheese, they were delicious as a side to the rest of the tapas. With slow-cooked Carnita pulled pork (£2.95). 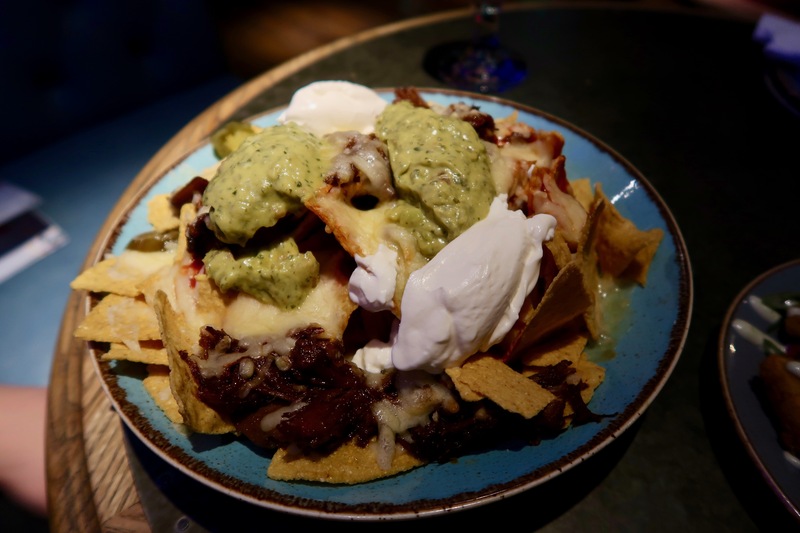 Nachos are one of my favourite dishes ever and seldom restaurants get them right, but Tropicuba totally did. They were properly loaded with cheese, guacamole, salsa and lots of jalapeños. The pulled pork onto was again plentiful and it was mouthwateringly good. These are a great idea for sharing amongst friends. All in all the food was good, I would choose to eat again at Tropicuba especially for a light picky meal before lots of cocktails. The vibe is so good, the music is great and really helps you enjoy the start of the weekend. There are also artists performing frequently throughout the night, from bongo players to hoop performances. It really reminded me of almost a Cirque du Soleil performance as there’s always a lot going on. The staff were amazing too, they were so friendly and extremely attentive. They were really chatty too which was really lovely to see that they were enjoying their new roles in this exciting venue. Next articleIs Rainwater Safe For You to Shower In?